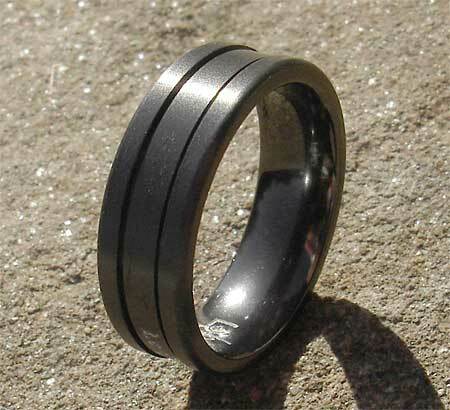 Grooved Men's Black Wedding Ring : LOVE2HAVE in the UK! 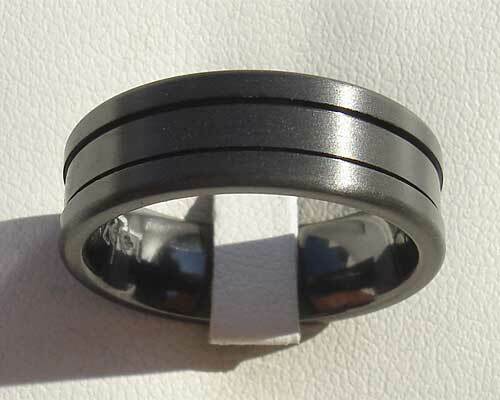 A black zirconium men's wedding ring with twin grooves that run parallel to one another around the rings entire outer. The width pictured is 7mm but wider widths are also available too, and it comes in a choice of a satin or polished finish. All our zirconium rings are great money savers if you are concerned about your budget as they are very tough. Zirconium rings offer real value for money without compromising on quality, style or individuality.